MP Post Office Recruitment 2016: The Madhya Pradesh government has going fill the 374 Postman & Mail Guard jobs. The applicants who are searching the latest govt jobs in Madhya Pradesh can apply the MP Postal Circle vacancy 2016. The Madhya Pradesh Postal department has invited the online application form from the eligible candidates. The interest candidates must keep watching our site to get the instant job updates. The aspirants must check the eligibility criteria details on the MP Postman notification 2016. If you want to get the more details about the Madhya Pradesh Postal Circle recruitment 2016, you must keep visit the official site dopmp.in. We also provide the direct link for the MP Mail Guard/Postman application form 2016 and advertisement on our Indrajobinfo.co.in site. The contender can apply the online application begins form April 10th 2016 to May 5th 2016. 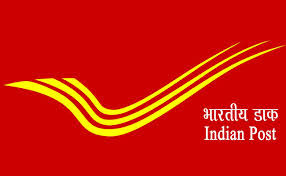 Name of the Department: MP Postal Department. Post Name: Post Man and Mail Guard. Number of Jobs: 374 posts. Category of Job: Government Job. The candidates should have an age limit minimum 18 years and not more than 27 years. Then age relaxation will be applicable for the applicants as per the government rules. The applicants who have pass the 10th class exam from a recognized board of the school or it's equivalent qualification can eligible to apply the MP Postman vacancy 2016. Selection of the candidates will be based on the performance in the written examination and then qualified applicants will be get the jobs in Madhya Pradesh Postman jobs 2016. Open the official site dopmp.in. Download the Madhya Pradesh Post Office notification 2016. Opening date of online application: 10.04.2016. Closing date of online registration: 05.05.2016. MP Postal Circle Notification 2016. Madhya Pradesh Post Office Vacancies 2016. MP Postman Recruitment Apply Online 2016.